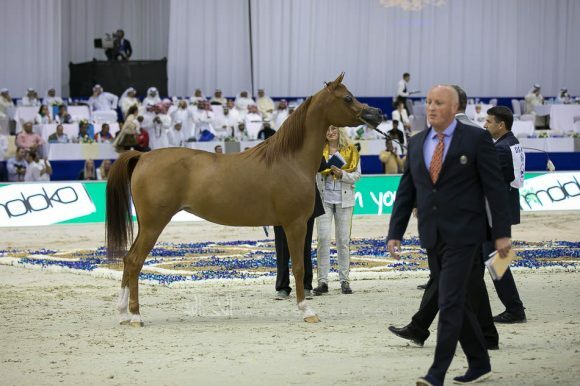 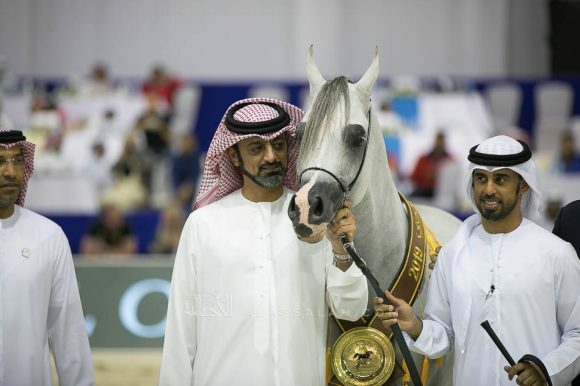 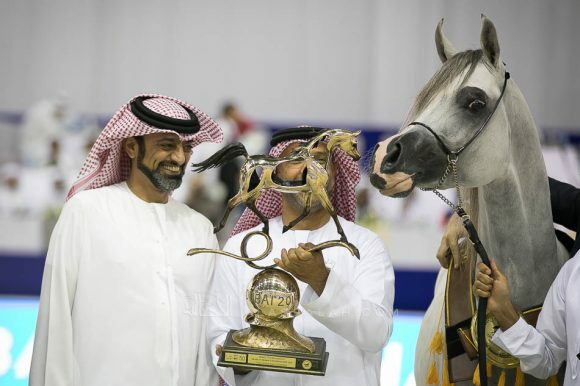 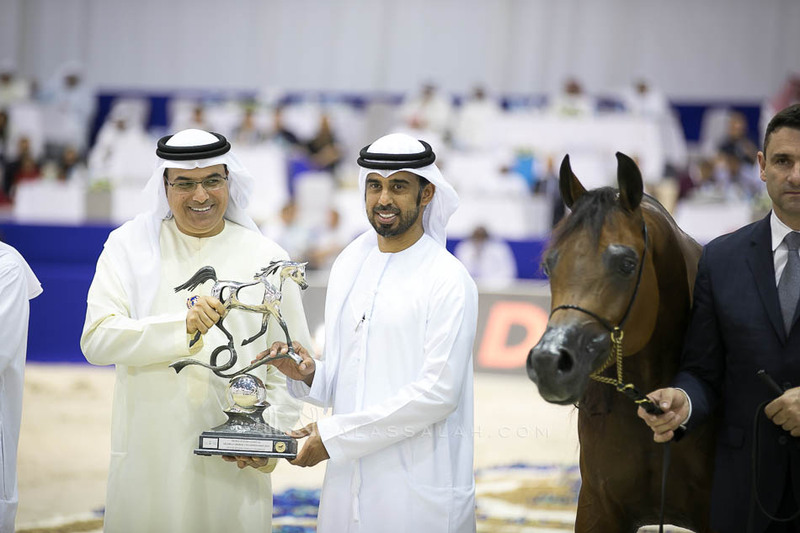 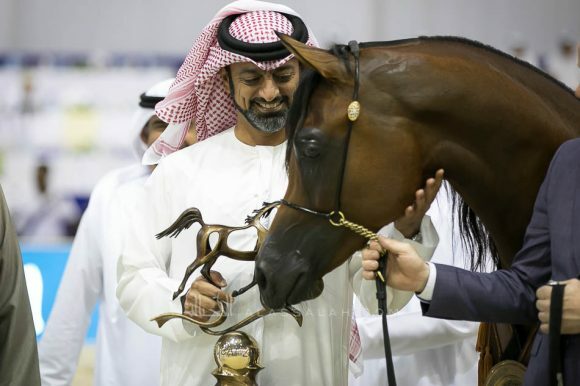 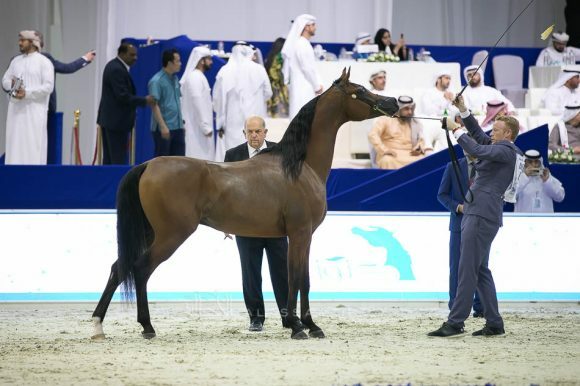 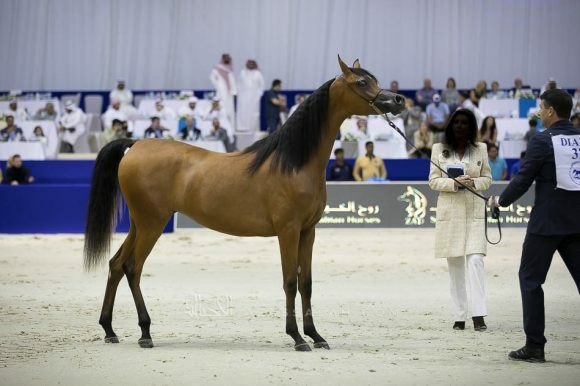 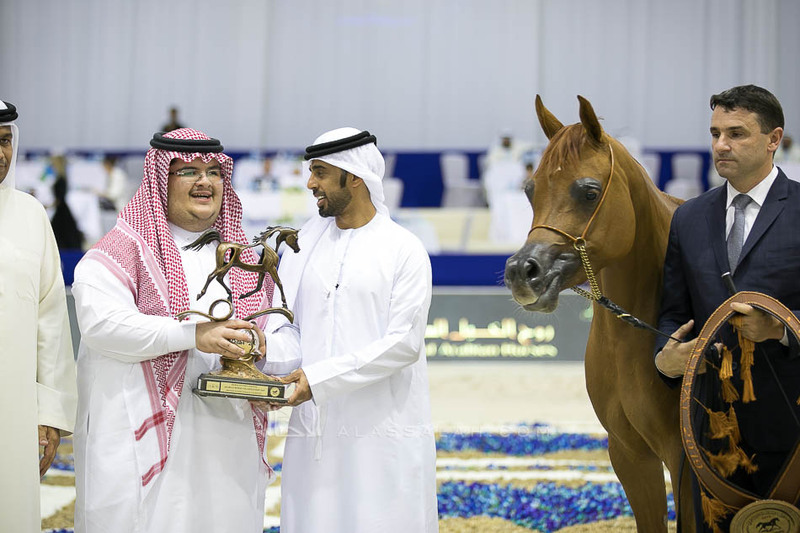 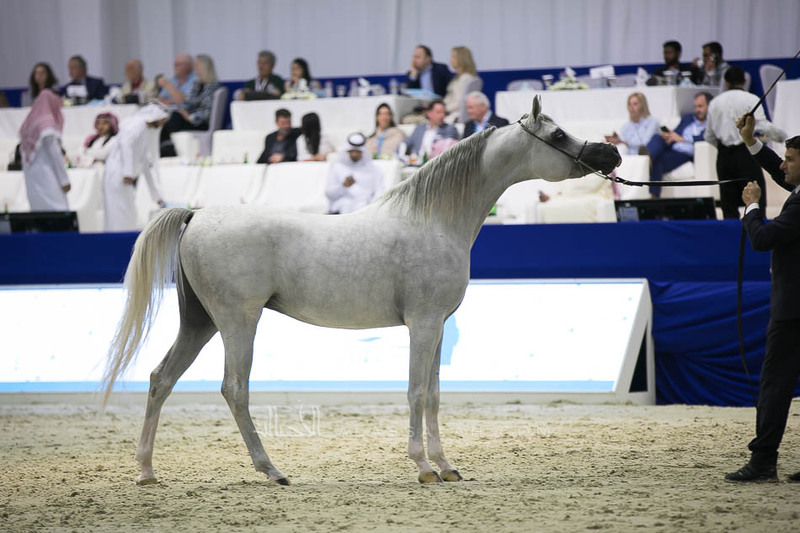 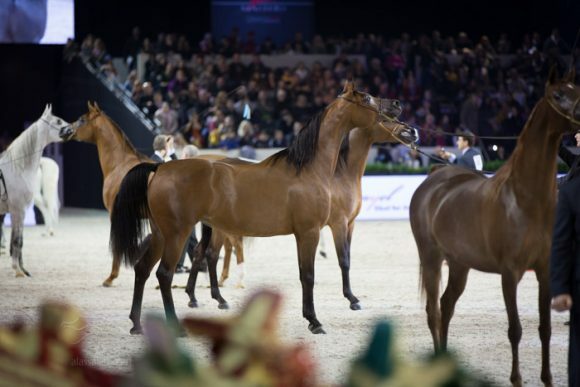 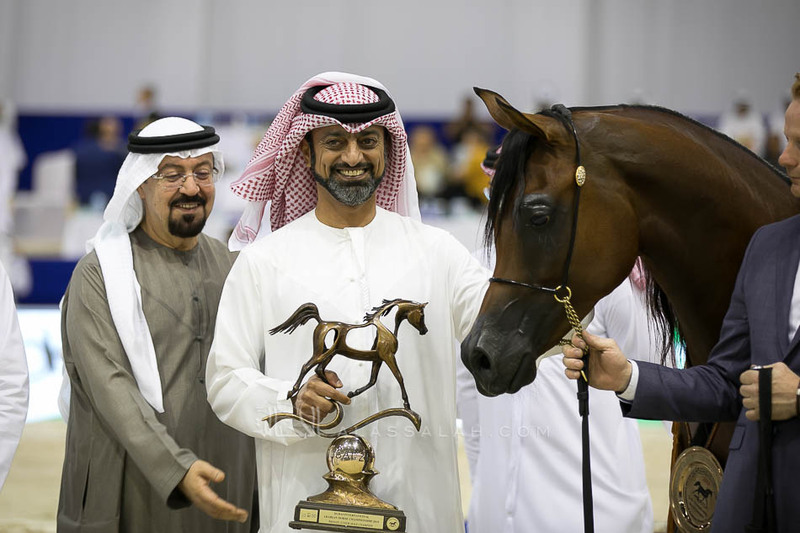 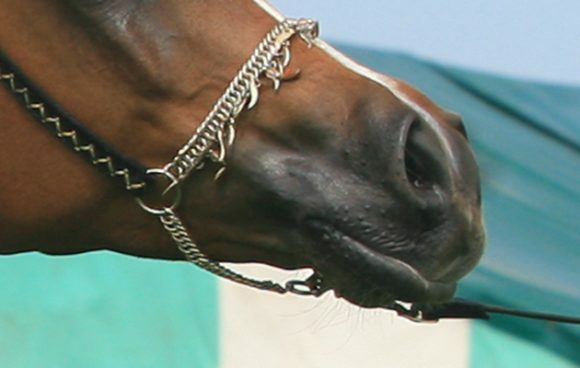 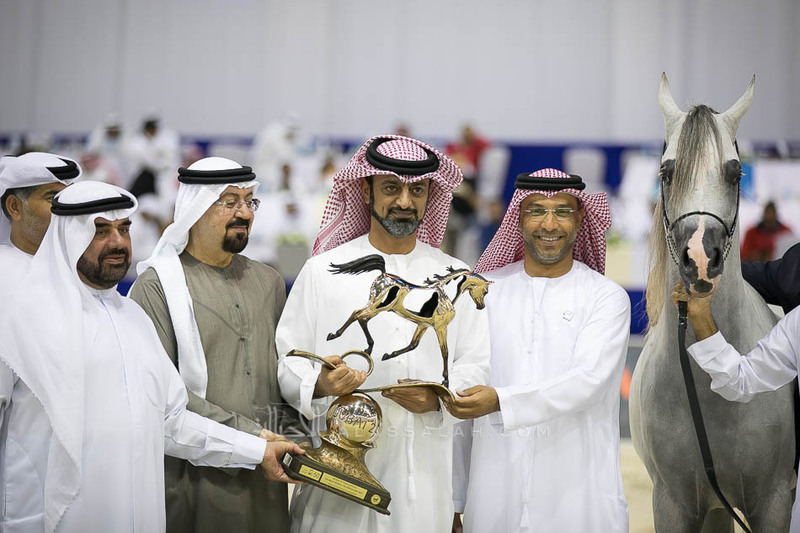 Ajman Stud horses were definitely dazzling the spectators during the Dubai International Arabian Horse Championship 2019, with a Junior Colts Championship Gold, a Yearling Fillies Silver and a Senior Mares Silver, as well as Bronze for Junior Colts and Junior Fillies all going to Ajman Stud. 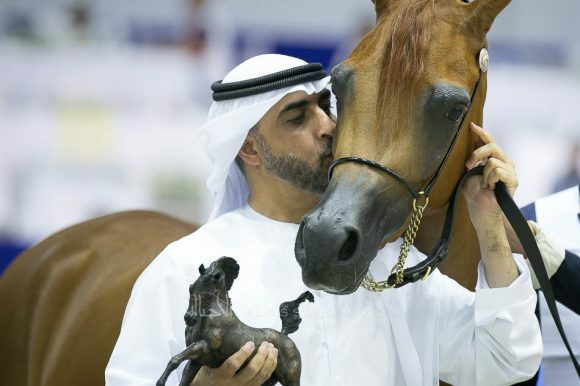 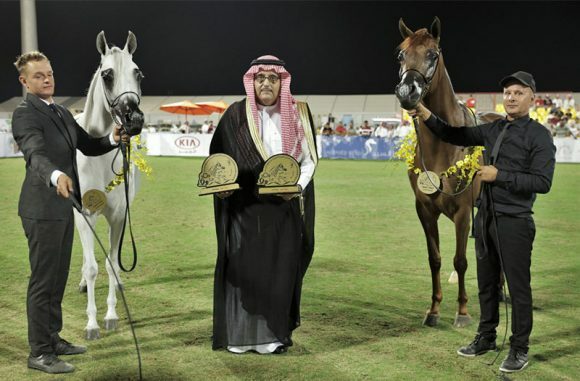 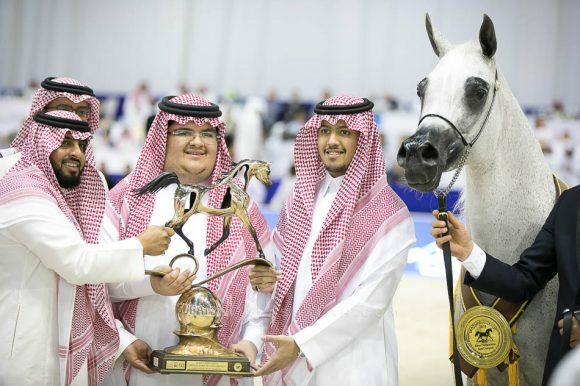 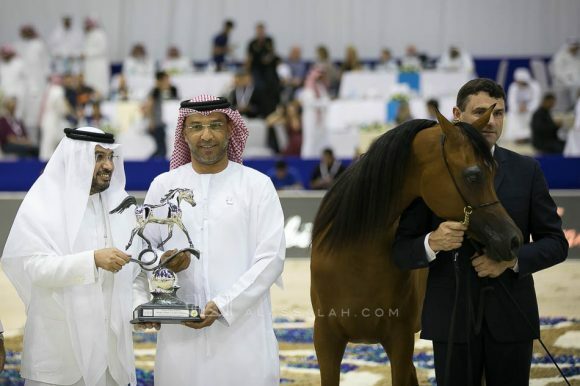 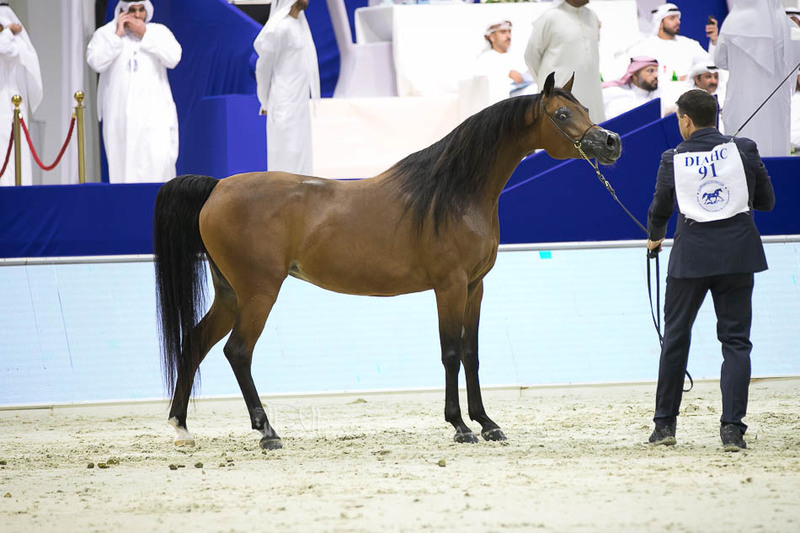 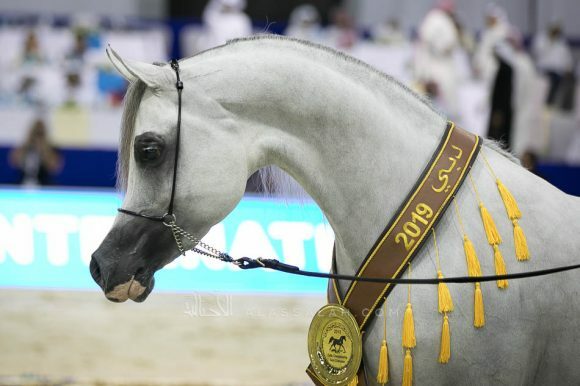 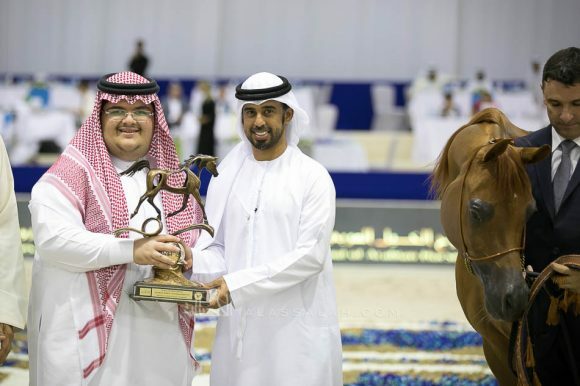 The Junior Colts Gold medal was spectacularly won by AJ Kafu (Shanghai EA x AJ Kahayla), while the Yearling Fillies Silver medal was awarded to AJ Samara (AJ Mardan x Sama AM), with AJ Sawari (Marwan Al Shaqab x Siberia SA) bringing home the Senior Mares Silver medal. AJ Norah (AJ Mardan x Inspired Najla) gracefully earned the Junior Fillies Bronze, and finally the Junior Colts Bronze medal went to Admiraal (Emerald J x Haniyyah).